At Cobb Internal Medicine associates, the physicians and providers strive to provide wholesome care in a pleasant and family friendly setting with a major emphasis on continuity of care. To this end, the physicians at Cobb Internal Medicine can continue to provide inpatient care in the hospital to their patients. 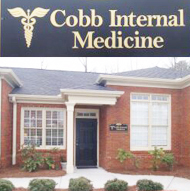 Cobb Internal Medicine accepts Medicare and most insurance coverage. Please contact us and we will be happy to verify your specific coverage for you. Cobb Internal Medicine offers an ios & Android Healow App and PC accessible Patient Portal which enables you to make appointments online, check lab results, request prescription refills, and more. Download detailed instructions for using Cobb Internal Medicine's Patient Portal: Making appointments online, Checking lab results, Requesting prescription refills, and more. You must have an active patient portal user name and password to utilize healow. 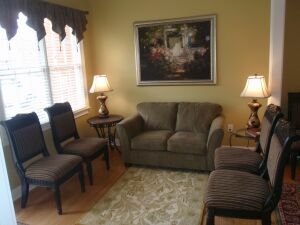 You will receive your logon credentials at your first visit.